Jaguar Land Rover (JLR) is in advanced UK trials of V2X technology that promises to help urban drivers avoid stop lights and help free up traffic flow. The technology, fitted to a Jaguar F-Pace, marks the 150th anniversary of the world’s first traffic lights installed outside the Houses of Parliament in London. Since then motorists around the globe have spent billions of hours waiting for lights to change from red to green. 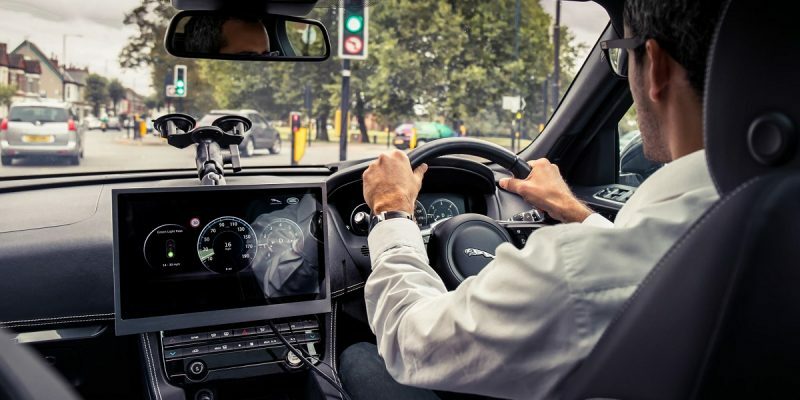 JLR claims its Green Light Optimal Speed Advisory (GLOSA) system allows cars to “talk” to traffic lights and inform the driver the speed they should drive at as they approach junctions or signals. It says adoption of V2X technology could prevent drivers from racing to beat the lights and improve air quality by reducing harsh acceleration or braking near lights. Its trial is part of a £20M ($26M) collaborative research project with the government funded project UK Autodrive, which has also helped accelerate the development of JLR’s future self-driving and connected technology. GLOSA is being tested alongside several other measures designed to cut time commuters spend in traffic.